I never cared to know that about London. Would you listen to London: A Short History of the Greatest City in the Western World again? Why? Yes. I have worked in London for 35 years and was interested to learn more about the places I know. Learning about the history of all the familiar places. His enthusiasm and personal knowledge of London. I enjoyed this until the last couple if episodes when a number of factual errors made me doubt the veracity of the whole thing. So The Dave Clark 5 were from Tottenham not Tooting, the Labour election victory in 1964 was not a landslide, the O2 is not the O squared and so on. 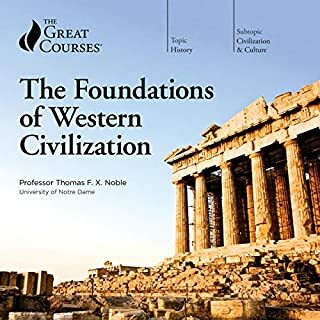 I enjoy listening to The Great Courses series and was drawn to this one as being a native Londoner, I enjoy learning more about this wonderful city. 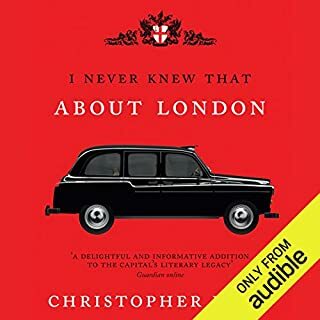 This gave a very concise and detailed history of London, and included interesting little nuggets of information about certain monuments, buildings and details about the human side of history too. 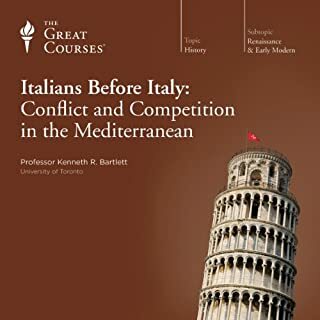 Professor Bucholz presents this course in a very engaging way, although his accent did start to niggle at me after a while. Overall though a very good listen. What did you like most about London: A Short History of the Greatest City in the Western World? This book cover a vast period in London's history, yet still manages to go into great detail. 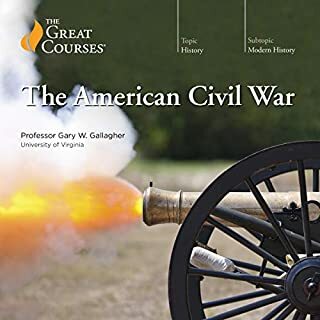 A fascinating and educational read / listen if you like history. I will definitely be listening to a lot more in this series. Professor Bucholz is a very skilled writer. His course on London manages to orchestrate many of the political, social and cultural narratives that have made the city what it is today. In doing so, he develops themes that run throughout the course. Particularly appreciated were his regular walking tours across the city at particular moments in time. His annunciation is excellent and deserves much credit, for it engages and charms the listener. His decision to conclude on personal experiences and interesting quotations worked very well. Bravo! Despite all the much deserved praise, having tuned in to so many of The Great Courses, I refrained from awarding a 5* review. I would have appreciated a free speech. 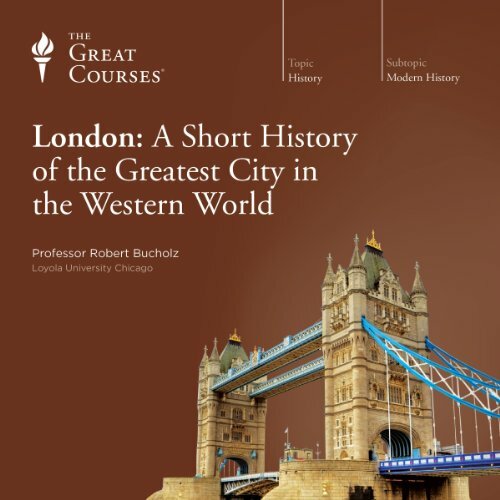 It is obvious that Prof. Bucholz read a script, which was fine, but learning more Text by heart would have enabled an even more didactic approach to conveying the complex history of London. I also would have appreciated more of the wider historical narratives, allowing Bucholz to contribute further of his scholarly perspectives, rather than merely retelling what Wikipedia could tell us as well. Finally, I would have welcomed more of the 'why does London look the way it does', i.e. urban development. Too much time went with a retelling of English history. While English history is not easily divorced from London history, I would have preferred a clearer division, especially seeing that Bucholz offers separate courses on English history. Whenever urban development was addressed, for example regarding the influence of the Russell family, one desired more of it. What about the Bedford dynasty and the Dukes of Westminster. More behind-the-scenes kind-of stories that help to understand the fabric of the city would have been wonderful. These criticisms should not stop those interested in London to tune in. There's much on offer that justifies the purchase. Very much enjoyed the spirited performance. Must read for anyone living in or visiting London. I loved the enthusiastic narration by an American scholar with heartfelt affection for London and its stoic people. Although the analysis covers millennia and is at times sketchy, it is nevertheless a commendable project and interesting. Slightly romanticised and tending to glorify monarchy, it will appeal less to serious historians (and republicans!) than to travellers and curios newcomers. Would you consider the audio edition of London: A Short History of the Greatest City in the Western World to be better than the print version? Because I don't live in the UK and it's more complicated to me to buy books. At the same time, English is not my first language. In fact, my English is not so good. So with an audiobook I can improve my English skills at the same time I learn about the London history. What other book might you compare London: A Short History of the Greatest City in the Western World to, and why? Perhaps the Diary of Samuel Pepys. Anyway, it's the first book I read about the English History. But I intend to read the Samuel Pepys diary in the future. What does Professor Robert Bucholz bring to the story that you wouldn’t experience if you had only read the book? Perhaps the Diary of Samuel Pepys. But this book (about London) was the first book that I read about the English History. Anyway I intend to read the Samuel Pepys diary in the future. The History of London is a constant report about reinvention and rebuilding of a city by its population. I don't have any additional comments except my apologies for my bad English and my testimony about the quality and the persistence of the extraordinary English radio tradition. This course covers the entire history of London, right from pre-Roman times up until 2005. The professor speaks well, and has chosen many good themes to cover in this course. 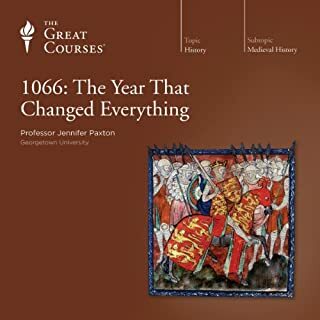 However, since this is a history of London, rather than a history of Britain, he leaves many explanations for events to other courses, and just gives a simple overview of how it changed London. This may be forced by the format, but it felt a bit flimsy, like you weren't getting much out of it. I enjoyed greatly the several "days in the life" which he walks us through. He takes famous Londoners, e.g. Samuel Pepys, and describes the London of their time, how it looked and sounded and smelt etc. This really is fascinating, and gives many places in London a much more interesting history. Place names and areas of London now hold a lot more historical interest to me, which was what I was hoping in listening to this. 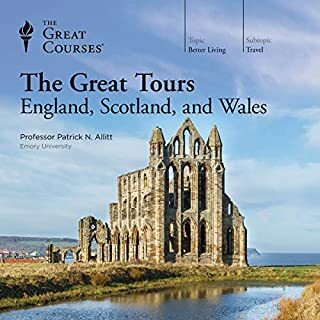 Overall I would suggest this for people who intend to spend some time in London wandering around doing touristy stuff, but if you want to learn some history, I think you're better off listening to one of the more detailed series.